The mouse is so sweet - how clever is that? Lovely idea doing them fabric-based instead of paper-based. Oh yes, I neeeeeeeeeeeed that little mouse! Liking the mouse too, nice and feely, both of them. Love them both but I am REALLY hoping that mouse is coming to me he is awesome! 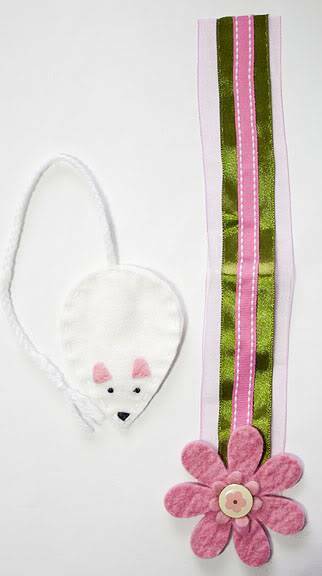 Oooo so so cute, yes am loving the mouse myself, although i do like the ribbon one, have done that myself before. I've used a piece of ribbon before, but the mouse is squeakylishous. Love him/her to bits. So different. Oh these are lovely, never thought of doing fabric ones. Love the mouse he is cute. OH Great idea Dawn, I to love the mouse.